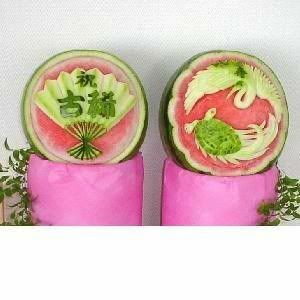 Quirky Jessi: Playing with your food -- It's Art! 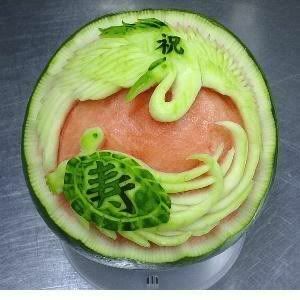 Playing with your food -- It's Art! By now, we know that I enjoy building masterpieces out of food....and sand....and the toilet paper/pens/scrap paper at work....and just about anything to occupy my creativity to entertain myself. And well, entertain others at times, too. 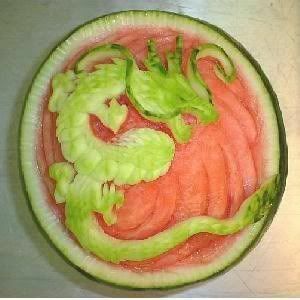 Here's some other people's creations that further support the fun in playing with food. 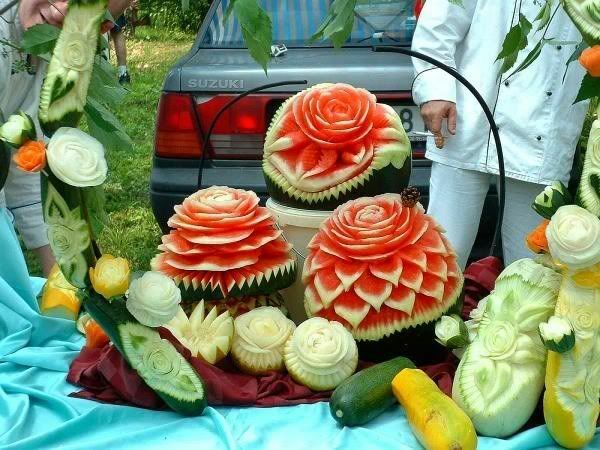 The title says they're Chinese Watermelon Art/Sculptures, but that's really all the information I have to go with the pictures. Plenty more on the site. 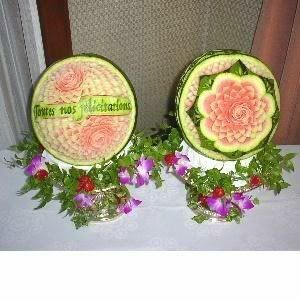 Those are amazing. 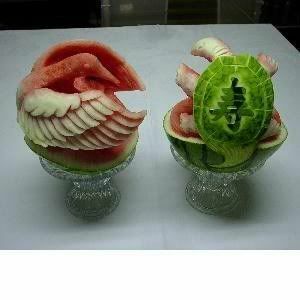 I have always wondered how people know they can take a watermelon or a piece of ice and make it into something.